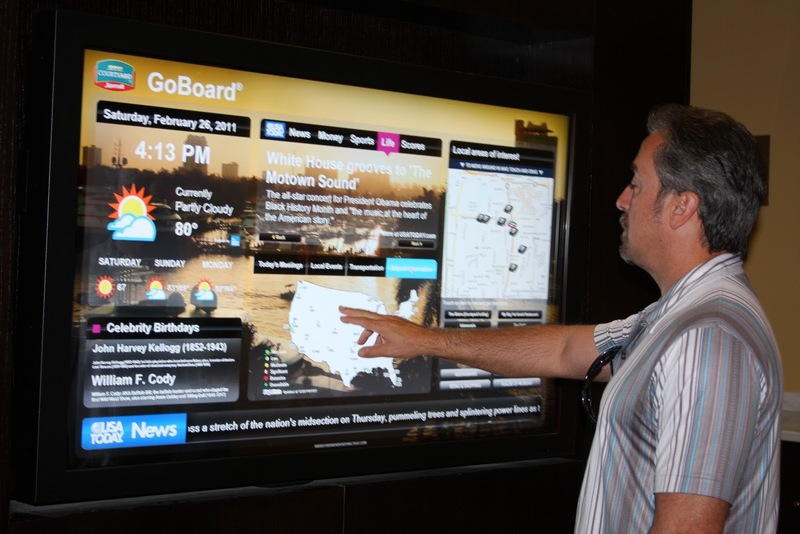 Marriott Courtyard guests can interact with its exclusive GoBoard® in the lobby of any of its properties to identify local attractions and restaurants on an interactive map. But deciding on where to go and how to get there using a state-of-the-art interactive touch screen is only a slice of the GoBoard's® benefit to those who stay at the Marriott Courtyard Fort Lauderdale Airport and Cruise Port. Guests can also view the latest news headlines, weather, stocks and travel updates. Four Winds Interactive designed GoBoard® for Marriott International in 2007 and has been fine tuning the product based on continuous feedback from guest who use the 280 GoBoards® installed around the world. In post stay surveys, Marriott Courtyard guests often cite amenities such as the GoBoards® as one of the reasons they're loyal to the brand, prompting Marriott to announce it will deploy an additional 500 GoBoards® worldwide. The digital age continues to produce technology platforms and applications that are contributing to enhancing the consumer experience in every sector and with the GoBoards®, Marriott International is demonstrating how the hospitality industry is benefitting. Am sure Marriott's Rainmakers are already contemplating its monetization with advertising revenue models that can be customized to local properties.